Each parent has their own way of teaching their child a lesson. Some parents choose to talk to their child calmly while others implement stricter methods in order to discipline their child. 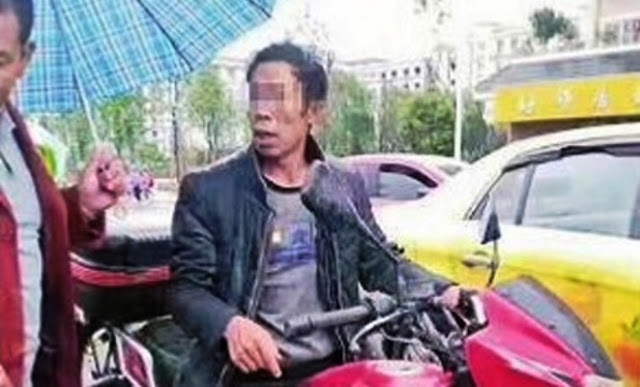 This Chinese dad, however, might have taken things a bit too far when he decided to tie his own son to his motorcycle and dragged him on the streets. To top it all off, he stripped his son of his clothes to humiliate him further. He believed that in order to prevent his child from being naughty, he must do something harsh to him so that he won’t be hard-headed. Naturally, everyone was outraged with what he did to the young boy. Onlookers demanded to know if he is indeed the biological father of the child. Once they were able to confirm who he really is, they forced him to explain why he did such a thing to a young boy. According to the father, the young boy was very naughty. One time, the dad said that the boy found 100 Yuan under the bed. Instead of returning it, the boy took it and ran away from home for a few days. What can you say about this? Do you think the father should be punished or should the people just let him continue with his inhumane method of punishment? Tell us your thought's in the comments section below!